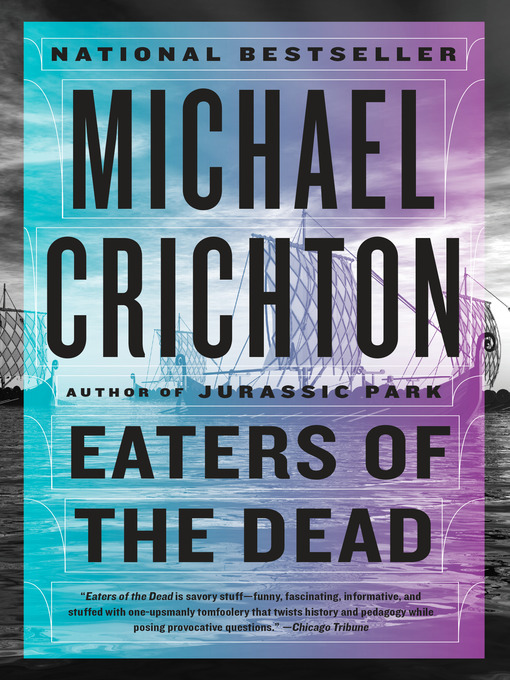 Eaters of the dead [electronic resource] : the manuscript of Ibn Fadlan relating his experiences with the Northmen in A.D. 922 / Michael Crichton. Material type: BookPublisher: New York : Vintage Books, �1976Description: 1 online resource.Content type: text Media type: computer Carrier type: online resourceISBN: 9780307816436 (electronic bk. ); 0307816435 (electronic bk. ).Subject(s): Ibn Fa�dl�an, A�hmad, active 922 -- Fiction | Epic poetry, English (Old) -- Adaptations | Heroes -- Scandinavia -- Fiction | Beowulf -- Adaptations | Northmen -- Fiction | Monsters -- Fiction | Vikings -- Fiction | Dragons -- Fiction | Adventure | Suspense | Historical | FICTION / GeneralGenre/Form: Electronic books. | Historical fiction. | Fantastic fiction.Additional physical formats: Print version:: Eaters of the dead.DDC classification: 813/.5/4 Online resources: Click here to access title or place hold | Image Summary: It is 922 A.D. The refined Arab courtier Ibn Fadlan is accompanying a party of Viking warriors back to the north. Fadlan belatedly discovers that his job is to combat the terrors in the night that come to slaughter the Vikings--but just how he will do it, Fadlan has no idea. It is 922 A.D. The refined Arab courtier Ibn Fadlan is accompanying a party of Viking warriors back to the north. Fadlan belatedly discovers that his job is to combat the terrors in the night that come to slaughter the Vikings--but just how he will do it, Fadlan has no idea.